Be strong but not rude. Be kind but not weak. Be bold but don't bully. Be humble but not shy. Be CONFIDENT but not arrogant. When I look at my little girl playing on the floor with her toys, her posture is amazing! Her back is completely straight when she's sitting and squatting, as when she's walking. So what changes as we grow into adults? As we get older we begin to feel the weight of life and our bodies feel the gravitational force. Our heads weigh around 18 pounds just on their own, so you can imagine how that becomes a real effort for the neck and spine to hold up, especially if we have fallen into bad postural habits. Hunching over our laptops, texting, belly fat and most importantly emotional trauma can have a huge affect on our posture. I've had a bit of a rubbish week and I really noticed it in my posture. The first year anniversary of my daddy's passing draws near and that fateful day keeps replaying over and over in my mind, my dreams and the only way it seems to still is through mediation and yoga. I know how important it is to get these very painful emotions out before they permanently manifest into my being. I am very lucky that I have an amazing circle of friends and family who I can cry to and who I know are there for me. Each time I feel my shoulders hunch and the tears well up, instead of clenching my jaw to hold it all in I know I need to let it out little by little. At one of my lowest points this week, a little butterfly flew onto my finger and I could swear it looked at me. There we were frozen in stillness for what seemed like a minute or two then it simply flew off, light and carefree. I felt a little calmer and a little brighter, I am sure it had nothing to do with dad but I was reminded that wherever he is, he is free. Our posture affects so much of our lives determining whether we maintain a healthy spine and nervous system also, how we see ourself and how we are perceived by others. When you see someone with good posture you immediately think wow, they are confident. And that is one trait that is very much needed in this world because humans are so influenced by perception. 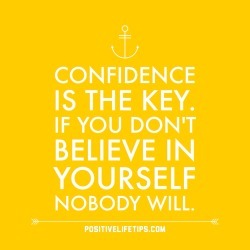 if you don't believe in yourself then you can't expect anyone else to. This week we are opening our hearts, shoulders and strengthening the back. Beginning in a seated position working with the breath in pranayama, we will proceed to slowly warm up the torso, arms and hips. Working into plank and downward dog we will start to ignite the core by doing Tibetan Rituals. Then to get the heart pumping start to move through some smooth Vinyasa's from Utkatasna (chair pose) into Warrior 1, opening the shoulders in different variations each time. Reaching the peak in bound half moon and taking the gaze over the shoulder pointing to the ceiling is the challenge here. The core must be super strong to maintain the balance and the heart and chest is extremely open here. We want to ascertain vulnerability, the ability to be open and honest. Calm and quietly confident. Finding this inner depth in our warm down postures, Janu Sirsasana followed by Ustrasana and bridge pose and finally Savasana. Hannah Whitaker @HannahMarieWhitaker (instagram), who is our latest addition to the fringe.yoga team. She will be teaching a new and exciting way to keep fit which has taken the cities by storm and is the latest celebrity stay trim method "Barre"! Classes will be happening on Tuesday evenings at the studio at 7 30pm starting from September. Keen yogi, personal trainer and wellness and nutrition coach, Hannah W is full of knowledge and a fantastic teacher. There will be a tester class for you to try in August so if you are interested, keep an eye on our mailer with more details going out this week!! !